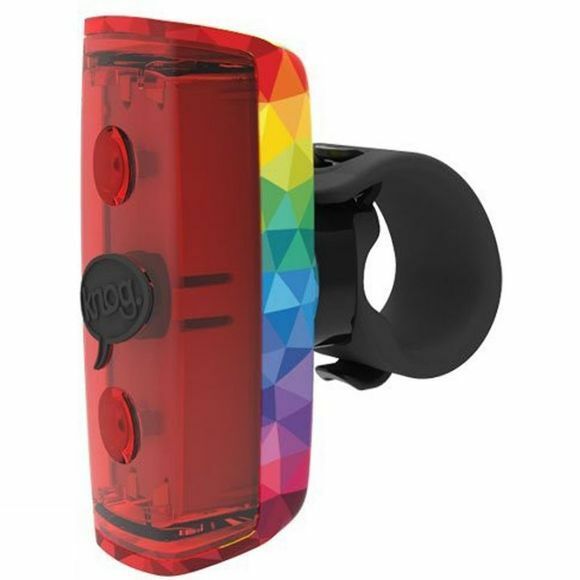 The Knog Pop Rear Light is a super bright, AA battery-powered rear bike light with surface mounted LED tech. Outputting 5 lumens of light and 180° visibility, the Pop Rear Light keeps you well illuminated not just from the rear, but from the sides too. 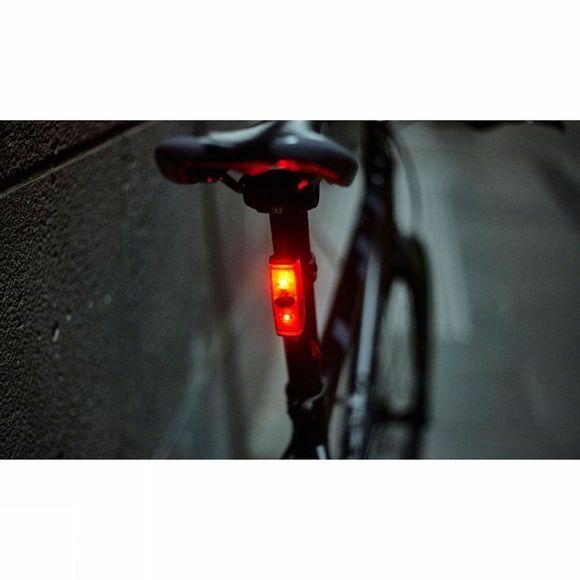 With long runtimes (up to 200 hours in eco-flash), replaceable straps and a variety of different designs, there is a Pop Rear Light for all rider styles, mild or wild. LEDs: 1x Super-bright SMT LED designed to provide maximum brightness for duration of run time. Low Battery Indicator: A red LED will shine from the front of the light when the batteries are low. This LED will remain on for 5 seconds after the light is switched off to indicate that batteries need changing.